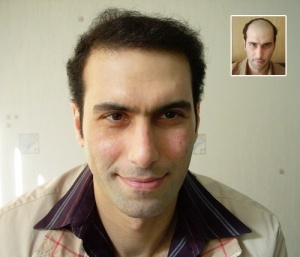 Hair Transplant in Lahore, Hair Transplant Services in Lahore, Best Hair Transplant in Lahore > Why Hairlife? Why should you choose Hairlife to perform your hair transplant surgery? Because no other hair transplant surgeons in the world consistently deliver the remarkable results you’ll experience from these two hair transplant surgeons. At Hairlife we are proud of our results. We have big, clear consistent photographs showing the results that our patients are getting time and time again. We do not have to resort to misleading hairstyles or inconsistent lighting to skew the actual results. The photographs in our patient gallery are original and untouched. Each photograph has the option to view in a larger format. Simply click on each photograph to see the larger version. Hairlife have more hair transplant patients that have personally documented their experiences on the Internet than any other hair restoration center that we know of. These patients are proud of their results and are not compensated in any way. They are helping others to understand that a hair transplant can be a very rewarding experience in the hands of the right doctors. We guarantee our photos and videos are always unretouched and only feature our own real patients and their authentic results. 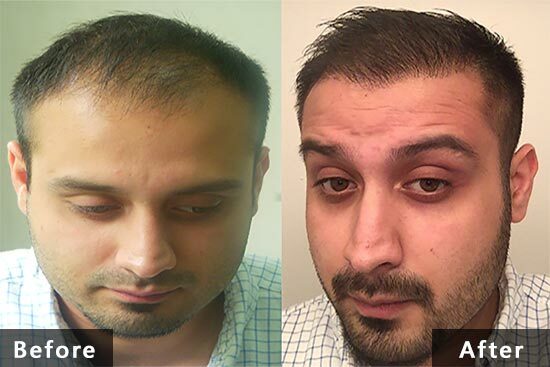 Mind Blowing Hair Transplant Results! Dr. Waris Anwar studied the work of world’s leading hair transplant surgeons leaders and distilled and incorporated what he learned into the most effective hair transplant procedures possible. We also offer Follicular Unit Extraction (FUE) which is a slower method of extraction and circumvents a linear scar. Large sessions using FUE can be achieved over multiple sessions, most often over the space of two days. Regardless of which method is used to harvest the donor grafts, implantation relies on The Doctors’ experience, skills and techniques to achieve the same results.